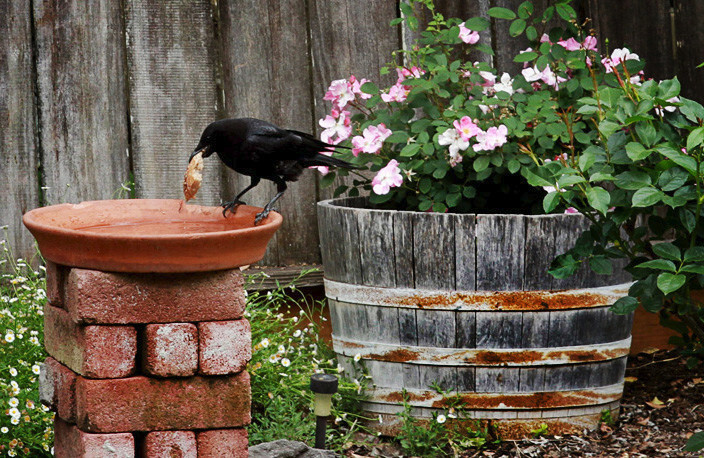 Crows – Entertainment in the Garden! There’s always something fun to watch in the garden. 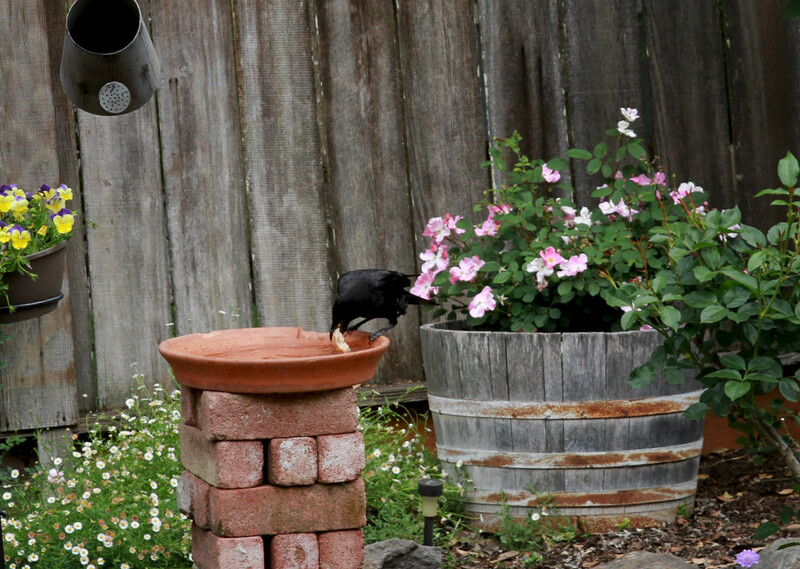 Morning coffee includes visits from our squirrels, sparrows, doves, robins…..and lately a funny crow! 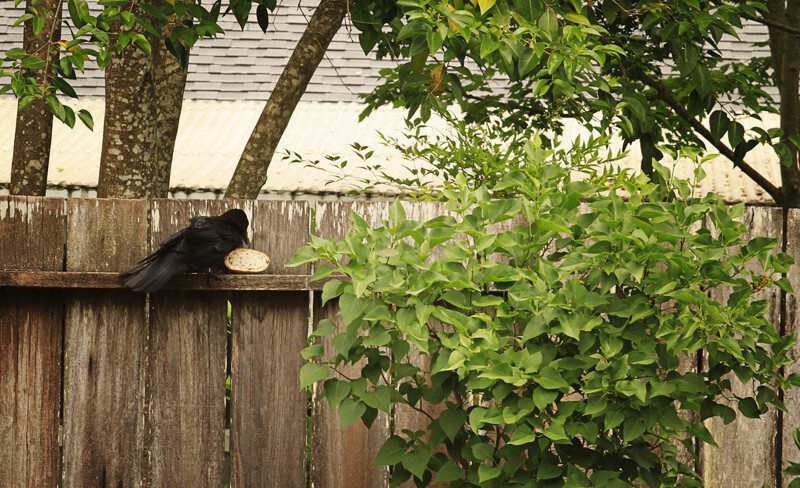 Then lifts it in and out till its just the way he likes it..
Then carries it back to the fence ledge and eats until he gets to the dry center, then dips again….so funny….and he does it day after day. We supply the water and someone else must be supplying his “dippers”! 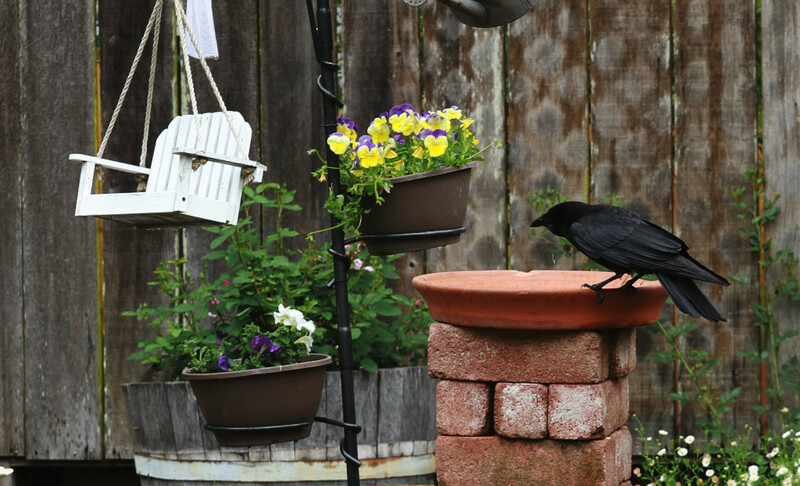 What birds visit your garden? ← Chicken Coop Maintenance – Or… How to Scoop Poop!